Draft: 2009, San Francisco Giants, 5th rd. Married Hudson High sweetheart Haylee Stephenson December 3, 2010, at Providence Baptist Church in Lufkin...they have two sons, Greyson Ellis (August 27, 2014).and August Kyle (July 20, 2018). • Was selected by the Atlanta Braves in 11th round of 2007 First-Year Player Draft, but did not sign...Had a verbal agreement with Cubs coming out of high school in 2006 to be drafted in high rounds and paid high-round money...but the Cubs didn't come through and Red Sox drafted him the 11th round....he did not sign and went to college instead. Hit .241 (92-for-382) with 27 doubles, 18 home runs and 51 RBI in 104 games...His 18 home runs matched his career-high...Led the club in home runs, walks (66) and finished second with 48 extra-base hits despite missing the final 51 games...Hit his first career grand slam on April 7 at San Diego, off Padres' RHP Luis Perdomo...he homered again in the 8th for his fourth career multi-homer game...Sustained his fourth concussion in eight years on Aug. 4 after he was hit in the head by a 78 mph curveball from Diamondbacks pitcher Anthony Banda...he was placed on the sevenday DL and did not play the rest of the season. Signed a six-year contract on April 9, which covered his two remaining years of arbitration and four years of free agency...Hit .302 (92-for-305) with 27 doubles, 10 home runs and 47 RBI during the first-half of the season...Was chosen by fans as the winner of the Esurance MLB All-Star Game Final Vote, receiving 10.4 million votes...Struggled after the All-Star break, hitting .241 (57- for-237) with seven HRs and 35 RBI in 69 games...Among National League leaders finished fourth in walks (104) and fifth in on-base pct. (.394)...His 103 walks were the most in one season for any Giants hitter since Barry Bonds in 2007 (132)...Hit the Giants' 69th "Splash Hit" HR and the fifth of his career on June 8 vs. Boston off LHP David Price. Completed his fifth season with the Giants, batting .280 with a career-best 18 home runs and 68 RBI in 137 games...Missed SF's final 15 games of the season with a concussion, his third in six years (had one when he played ball at Texas)...Started 130 games (117 at first base, 13 in left field) and led all NL first basemen with a .997 fielding pct....Suffered a right groin strain in just the second game of the season on April 7 at Arizona...while playing first base in the bottom of the 4th inning, Belt turned and ran to chase a Nick Ahmed foul pop up...he immediately pulled up as the ball fell well beyond second baseman Joe Panik's reach...a trainer and manager Bruce Bochy came onto the field and after he tried to run a bit, he was taken out of the game...underwent an MRI exam the next day (April 8) that showed a low grade strain... Missed four games with the injury and was back in the starting lineup April 12 at San Diego.... Recorded at least one double in five consecutive games from May 3-7, tied for the second-longest such streak in SF Giants history (Jeff Kent owns record with seven straight games with at least one double)....From May 15-17, became the second Giants player in the modern era (since 1900) to tally at least three hits, including a home run, in three consecutive games...Barry Bonds had a three-game streak of that kind in May 2000 against the Expos....Hit the 34th upper deck home run in Coors Field history on May 22, hitting a two-run shot off Kyle Kendrick in the 6th inning…the estimated distance of the home run was 475 feet, the longest of his career....Recorded three hits in four consecutive road games from May 15-22, matching the longest such streak in Giants franchise history (since 1912)...the only other Giants to have such a streak were: Jim Davenport (1958), Willie Mays (1958), Willard Marshall (1942) and Freddy Leach (1929).... On June 25 vs. SD, became the second Giants player with two triples in a game at AT&T Park, joining Omar Vizquel (July 31, 2006)....Recorded his second career multi-homer game on Aug. 1 at Texas...hit a solo homer off LHP Cole Hamels, who was making his Rangers debut, then homered in the 11th inning to help the Giants defeat the Rangers 9-7....Registered his third career multi-HR game Aug. 11 vs. Houston, hitting two HRs off Scott Kazmir.... Was kneed in the head while sliding into second base on Sept. 15 vs. Cincinnati that caused concussion-like symptoms....Was pulled from the game in the 9th inning on Sept. 18 vs. Arizona because he had trouble focusing during the game... passed one round of concussion tests, but was tested again and was diagnosed with a concussion....Flew to Pittsburgh to meet with concussion specialist Michael Collins Sept. 24...was shut down the remainder of the season.... Following the season had surgery to repair a torn meniscus...had played through the injury most of the season and was often seen walking through the clubhouse with a big ice pack on his knee. Had an injury-riddled 2014 campaign that saw him land on the DL on three separate occasions, first with a broken left thumb (was HBP from LHP Paul Maholm May 9 at LA), then suffered a concussion that landed him on the DL twice after the All-Star break (was hit by a ball thrown by Marco Scutaro in the face while taking throws at first base during batting practice July 19 at Miami)...Overall, missed a total of 96 games (missed 50 games with the broken left thumb and 46 games with a concussion)...Batted .243 (52-for-214) with 12 home runs and 27 RBI in just 61 games during his fourth season in a Giants uniform...Was sent to the University of Pittsburgh Medical Center on Aug. 18 to visit Dr. Mickey Collins, who is considered one of the preeminent experts in sports concussions, in the hopes of gaining more clarity on his recurring concussion symptoms...Visited Dr. Mickey Collins again Sept. 11 and received clearance to accelerate his baseball activity...was removed from DL Sept. 16...Started eight games at first base after his return from the DL and went 8-for-28 (.286) with a homer and three RBI in 10 games. In just his second full season in the big leagues, batted .289 with 39 doubles, 17 home runs and 67 RBI in 150 games. His 39 doubles, 17 home runs and 67 RBI were all careerhighs. His 16 home runs as a first baseman were the most by a Giant since J.T. Snow slugged 19 in 2000. Started 132 games, all at first base and committed eight errors. His 13 game winning RBI were tied for the eighth-most in the National League. His 31 RBI in the 7th inning or later were the third-most in the NL. Hit .330 (77-for-233) with 20 doubles, eight home runs and 38 RBI in 67 games against the NL West. Finished second on the club with a .360 on-base pct. and .481 slugging pct...led the team with a .841 OPS. Had a fantastic spring, hitting .410 (32-for-78) with eight HRs and 19 RBI in 24 games...tied KC's Billy Butler for the most RBI in the Cactus League and ranked second in HRs (Michael Morse, 9). Made his third career Opening Day start for the Giants at first base. Started on Opening Day at Los Angeles, but then missed the next two games with a stomach virus...lost 11 1bs due to the virus and started off the season in a 0-for-13 skid. Recorded his first career game-ending hit on April 22 vs. Arizona, driving in Andres Torres with the winning run from second base with one out in the 9th inning in the Giants' 5-4 victory...had entered the game in the top of the 9th as part of a double-switch. A day after he collected his first career game-ending hit, he recorded his first career pinch-hit home run, hitting a game-tying two-run shot in the 9th inning off Arizona closer J.J. Putz. Went hitless in eight PA s on July 8, becoming the first Giants player to go hitless in that many plate appearances in a game since Jose Uribe went 0-for-8 on June 11, 1985 at Atlanta...also struck out five times, becoming the third player in SF-era history with five-plus K's in a game (also: Glenallen Hill, Aug. 20, 1995 at PHI and Steve Whitaker, April 14, 1970 at ATL). Hit .346 (66-for-191) with seven HRs and 28 RBI following Aug. 1...his .346 clip during this span was the thirdhighest mark in the NL. Was named NL Player of the Week for the period ending Aug. 11...collected hits in each of his seven games, compiling a .440 (11-for-25) batting average, which was the eighth-highest mark among National Leaguers...led the NL in total bases (20) and runs scored (eight), tied for second in home runs (two) and hits, and posted the eighth-best slugging percentage (.800). Matched a career high with an 11 game hit streak from Aug. 5-16, batting .432 (19-for-44) with four HRs and nine RBI during the stretch. Recorded his second-career game-ending hit on Sept. 9 vs. Colorado with a single in the 10th inning. Posted a career-high five hits and six RBI on Sept. 14 at Los Angeles-NL. Became the first Giants player in franchise history to have a five-hit, six-RBI and four runs scored game...accomplished this on Sept. 14 at Los Angeles in the Giants' 19-3 victory. Finished his first full season in the big leagues by batting .275 (113-for-411) with 27 2Bs, seven HRs, 56 RBI and going 12-for-14 in stolen bases attempts in 145 games for the Giants. His 12 stolen bases as a first baseman were the most bya Giant since Will Clark stole 12 in 1992. Hit .237 (57-for-241) with four home runs and 33 RBI in his first four months (April-July). However, combined to hit .329 (56-for-170) with three HRsand 23 RBI over the last two-plus months. Hit right-handed pitchers at a .290 clip (82-for-283). Was 31-for-128 (.242) vs. left-handers, but had 16 hits in his last 81 ABs (.198) against southpaws. Made 106 starts (102 at 1st, four in LF)...his .992 fielding pct. as a first baseman was the sixth-best in the NL. Belt was Giants' top prospect entering 2011 season and began year on club's Opening Day roster,but was transferred back and forth from Major League level to minors on 6 different occasions(optioned to minors 3 times, recalled 3 times). ... Batted .225 (42-for-187) with 9 home runs and 18 RBI in 63games with San Francisco. ... Started 50 games (30 in left field, 19 at 1st base, 1 in rightfield)...committed just 4 errors at all 3 positions. ... Was named Giants' Harry S. Jordan award winner forbeing best player in his 1st spring camp. ... Was Giants' Opening Day 1st baseman, becoming 1stplayer to make his debut at 1st base for defending WorldChampions since Ryan Jackson started at 1st for 1998Marlins (Elias). ... At 22 years and 345 days old, became 5th youngest Giantto start at 1st base on Opening Day since Will Clark in1986 (22 years, 26 days). ... Recorded his 1st ML hit (off Clayton Kershaw) in his 1stcareer AB with single to 1B James Loney on March 31 atLos Angeles. ... Hit his 1st big league HR in his 5th career AB and 6thcareer plate appearance on April 1 at Los Angeles, hitting3-run HR to dead center off RHP Chad Billingsley in 4thinning...became 7th Giants rookie to hit his 1st careerHR at Dodger Stadium, joining Jack Hiatt (1965), JohnMontefusco (1974), Mark Leonard (1990), Armando Rios(1998), Todd Linden (2003) and Jason Ellison (2004). ... Was optioned to triple-A Fresno on April 20 as Cody Rosswas reinstated from DL...hit .196 (10-for-51) in his 1st 16games with SF. ... Was recalled from Fresno on May 26 when Giants placedBuster Posey, Mike Fontenot and Darren Ford all on DL. ... Sat out 4 games after getting hit by pitch on his leftwrist from Cardinals' Trevor Miller on May 31 at BuschStadium...X-rays originally came back negative, but itwas later found that he had hairline fracture in his wrist...was placed on 15-day DL on June 4, activated July 7 andoptioned to triple-A Fresno. ... Was recalled from Fresno for 2nd time on July 19, takingplace of Miguel Tejada (DL)...with Aubrey Huff's backbothering him, Belt was recalled...started at 1st basethat night vs. Los Angeles and homered in his 1st at-batoff RHP Rubby De La Rosa, giving Giants 1-0 lead in 2ndinning...marked his 1st career home run at AT&T Park. ... Was optioned back to Fresno for 3rd time on Aug. 4. ... Was recalled to big leagues for 3rd and final time on Aug.13, taking place of Andres Torres (DL). ... Started at 1st base on Aug. 14 at Florida and recorded his1st career multi-HR game, hitting solo shot to left-centeroff RHP Chris Volstad in 6th inning, then hitting another solo shot to right field off LHP Michael Dunn in 8th...itwas 1st home run that Dunn had ever given up to lefthandedbatter in his career (151 plate appearances). ... Set career-high with 4 hits, including 3-run HR on Aug. 21at Houston...Texas native was playing in front of severalfamily and friends. ... Combined to hit .320 (57-for-178) with 8 HRs and 36 RBIin 53 games with triple-A Fresno and Class A AdvancedSan Jose. ... Played winter ball in Dominican Republic, playing forEscogigo and batted .300 (30-for-100) with 3 HRs and 11RBI in 28 games. Made quite an impact in his 1st professional season, batting .352 (173-for-492) with 43 2Bs, 23 HRs and 112 RBI in 136 games between 3 different levels in SF's system...Named by Baseball America as Minor League All-Star...Led minor leagues with 1.075 OPS, finished 2nd in batting avg. (.352) and on-base pct. (.455) while ranking 4th in RBI (112) and 7th in slugging pct. (.620)...Spent season rocketing his way through Giants system...began campaign at Class A Advanced San Jose and batted .383 (103-for-269) with 62 runs, 10 HRs, 62 RBI and 18 stolen bases in 77 games...Hit safely in season-high 18-straight games from April 11-30, then collected hits in 16-consecutive games from June 9-28...Led California League in on-base pct. with .492 mark, despite having just 333 plate appearances...MLBAM, official statistician for minor league baseball, recognized Belt based on Rule 10.22(a)...Named CAL mid-season All-Star and garnered CAL Player of Week honors for week ending June 21...Moved on to double-A Richmond, where he played in 46 games and batted .337 (59-for-175) with 9 HRs and 40 RBI...Appeared in 13 games at triple-A Fresno, going 11-for-48 (.229) with 4 HRs, 10 RBI...Had MVP-caliber Fall League campaign, batting .372 (32-for-86) in 22 games to help lead Scottsdale Scorpions to AFL Championship title...played in AFL Rising Stars Game (best of the best). August 14, 2018 San Francisco Giants activated 1B Brandon Belt from the 10-day injured list. August 11, 2018 San Francisco Giants sent 1B Brandon Belt on a rehab assignment to Sacramento River Cats. July 26, 2018 San Francisco Giants placed 1B Brandon Belt on the 10-day disabled list. Hyperextended right knee. July 21, 2018 San Francisco Giants activated 1B Brandon Belt from the paternity list. July 20, 2018 San Francisco Giants placed 1B Brandon Belt on the paternity list. June 16, 2018 San Francisco Giants activated 1B Brandon Belt from the 10-day disabled list. June 2, 2018 San Francisco Giants placed 1B Brandon Belt on the 10-day disabled list. Appendicitis. November 3, 2017 San Francisco Giants activated 1B Brandon Belt from the 60-day disabled list. September 20, 2017 San Francisco Giants transferred 1B Brandon Belt from the 10-day disabled list to the 60-day disabled list. Concussion. August 14, 2017 San Francisco Giants placed 1B Brandon Belt on the 10-day disabled list. Concussion. August 5, 2017 San Francisco Giants placed 1B Brandon Belt on the 7-day disabled list. Concussion. September 15, 2014 San Francisco Giants activated 1B Brandon Belt from the 15-day disabled list. August 2, 2014 San Francisco Giants activated 1B Brandon Belt from the 7-day disabled list. July 20, 2014 San Francisco Giants activated 1B Brandon Belt. July 4, 2014 San Francisco Giants activated 1B Brandon Belt from the 15-day disabled list. June 28, 2014 San Jose Giants sent 1B Brandon Belt on a rehab assignment to Fresno Grizzlies. June 26, 2014 San Francisco Giants sent 1B Brandon Belt on a rehab assignment to San Jose Giants. May 10, 2014 San Francisco Giants placed 1B Brandon Belt on the 15-day disabled list. Broken left thumb. October 14, 2011 OF Brandon Belt assigned to Leones del Escogido. August 13, 2011 San Francisco Giants recalled Brandon Belt from Fresno Grizzlies. August 4, 2011 San Francisco Giants optioned Brandon Belt to Fresno Grizzlies. July 19, 2011 San Francisco Giants recalled Brandon Belt from Fresno Grizzlies. July 19, 2011 Brandon Belt roster status changed by San Francisco Giants. July 14, 2011 Brandon Belt assigned to Fresno Grizzlies from San Jose Giants. July 12, 2011 Brandon Belt assigned to San Jose Giants from Fresno Grizzlies. July 4, 2011 San Jose Giants sent LF Brandon Belt on a rehab assignment to Fresno Grizzlies. July 2, 2011 Brandon Belt assigned to San Jose Giants. June 5, 2011 Brandon Belt roster status changed by San Francisco Giants. May 26, 2011 San Francisco Giants recalled Brandon Belt from Fresno Grizzlies. May 26, 2011 San Francisco Giants activated 1B Brandon Belt. April 20, 2011 San Francisco Giants optioned Brandon Belt to Fresno Grizzlies. March 31, 2011 San Francisco Giants selected the contract of 1B Brandon Belt from Fresno Grizzlies. 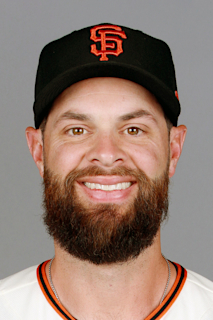 January 14, 2011 San Francisco Giants invited non-roster 1B Brandon Belt to spring training. August 31, 2010 Brandon Belt assigned to Scottsdale Scorpions. August 25, 2010 Brandon Belt assigned to Fresno Grizzlies from Richmond Flying Squirrels. July 2, 2010 Brandon Belt assigned to Richmond Flying Squirrels from San Jose Giants. April 5, 2010 Brandon Belt assigned to San Jose Giants. March 24, 2010 1B Brandon Belt assigned to San Francisco Giants. August 17, 2009 San Francisco Giants signed free agent 1B Brandon Belt to a minor league contract.